Can you help our sick kids this Christmas? Nursing staff looking after sick babies, children and young people this winter are appealing for help to bring festive cheer to their wards this year. Every Christmas, members of the public inundate Hull University Teaching Hospitals NHS Trust with requests to bring toys and selection boxes onto the wards. This year, the trust is asking for donations to help brighten up the two wards on the 13th floor of the tower block with an approach that embrace the city’s fishing heritage and reflects the success of The Deep. 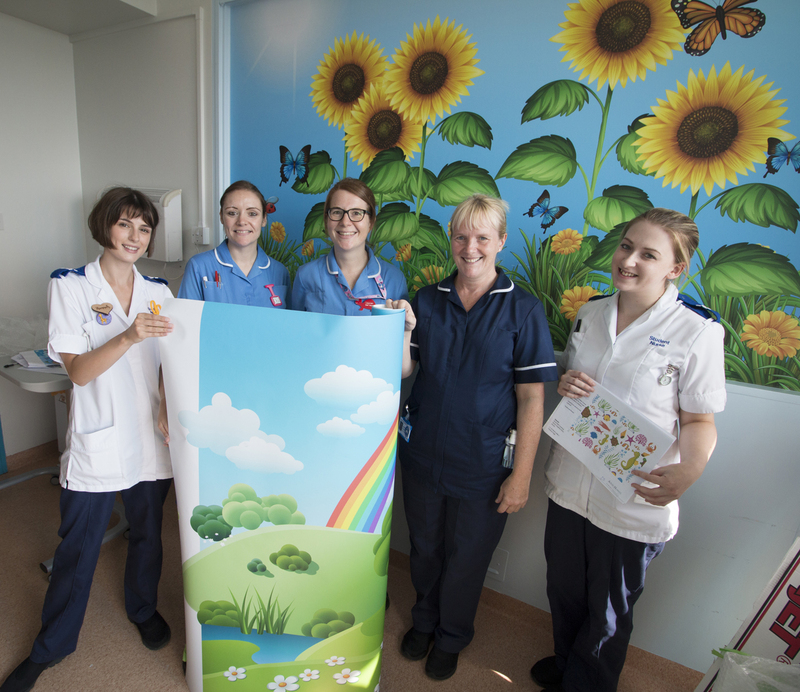 Junior sister Helen Lyon, pictured left with members of her team, said a £5 donation could help buy a wall sticker to decorating cubicles, corridors, bays and the Ward 130 playroom in sea themes. She said: “People are so generous every year and bring toys and selection boxes onto the wards for the children. We have enough toys now and we do our best to get most of our children home to spend Christmas with their families. “If people would still like to help us this year, we thought they could help us pay for the wall stickers which will benefit not just the children we look after during the festive season, but the ones who will come to us throughout 2019 and beyond. 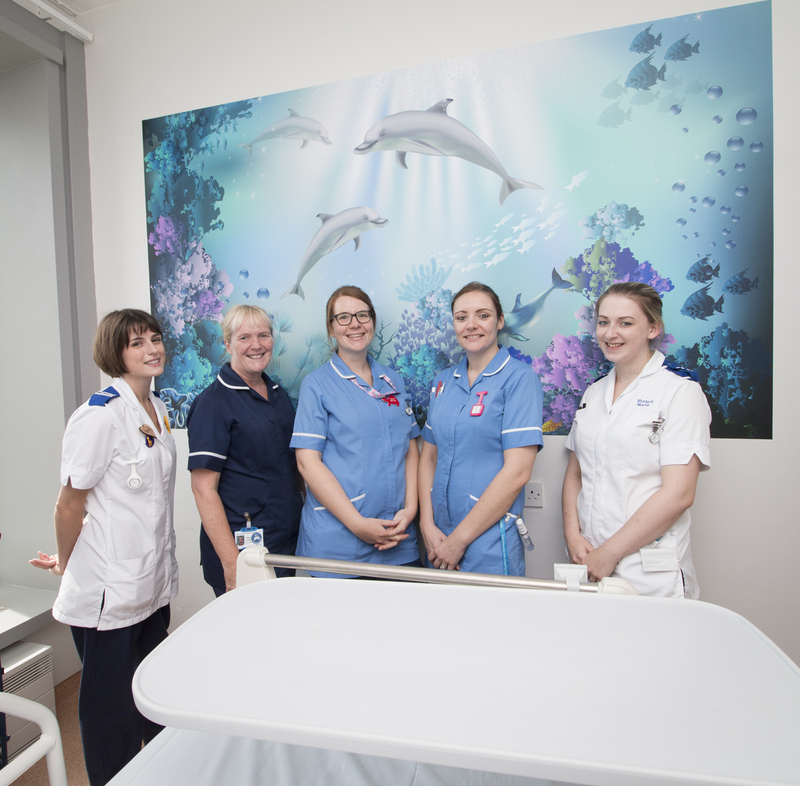 Woodwork is being painted in calming blue and pastel colours and cubicles decorated with artwork including dolphins and penguin transfers. Those cubicles used by older children will also have sunflowers and trees incorporated into the design. Helen Lyon said: “We appreciate there are significant demands on the trust’s money so we’re doing what we can with the funds we have available and can raise through fundraising activities and support from others.